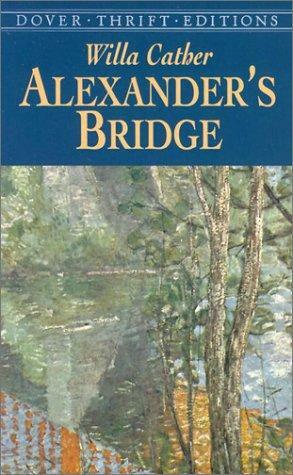 Alexander's Bridge was Willa Cather's first novel. It was originally published in 1912, then released a second time in 1922 after Cather had established her repuation. The second edition contained an author's preface. The book is about Bartley Alexander, a world-famous bridge designer, who struggles with integrity and infedility issues as he carries on an affair with his former lover, Hilda Burgoyne.